Care to be Different > Articles > NHS Continuing Healthcare > Cognition and mental capacity – what’s the difference? 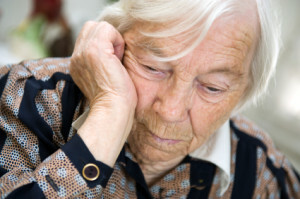 Is a mental capacity assessment needed when assessing NHS Continuing Healthcare eligibility? 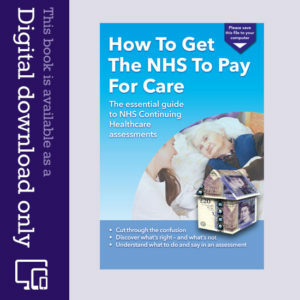 The different tests, assessments and abbreviations that crop up when you’re going through the NHS Continuing Healthcare assessment process can be confusing. This is particularly true when it comes to a person’s cognitive, memory and decision making abilities. In an NHS Continuing Healthcare assessment, one of the things assessed is a person’s cognition. Cognition relates to a number of things, including a person’s degree of confusion, disorientation and/or ability to carry out basic or more complex tasks. It also relates to a person’s ability to make decisions and choices for themselves, their memory and their awareness of risk and of their own needs. When NHS Continuing Healthcare assessors are completing the Cognition section of the Decision Support Tool document, they should look at all these things (and more, if relevant). The results of any memory tests will also be relevant here. Unlike a general assessment of cognition, a mental capacity assessment relates to a person’s ‘capacity’ to make a specific decision about a specific thing at a specific moment in time. 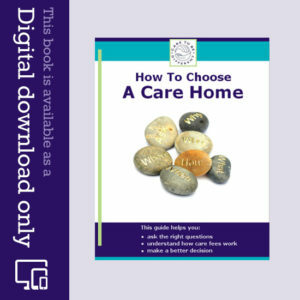 For example, a person might have a mental capacity assessment to address the specific question of whether they want to return home after discharge from hospital – or whether they’d feel safer in a care home. This mental capacity assessment would measure their capacity to make that decision at that particular time. So a mental capacity assessment is not an assessment of a person’s general cognitive state. A mental capacity assessment and a memory test are two very different things. What’s more, a poor result in a memory test doesn’t give the care authorities the automatic right to subsequently act on that person’s behalf. Read more here: Mental Capacity Assessments – when should you have one? Tip no. 24: What is a joint package of care? Our family have been sent a decision support tool to complete for our mother. albeit, we have 3 days to complete once we have seen her consultant. The document states June 2016 (amended) in the body of the front sheet, but with July 2018 at the footer. The CCGs are obliged to use the new DST from October 2018 but until then the old one can still be used.